into envelopes together with enclosures. 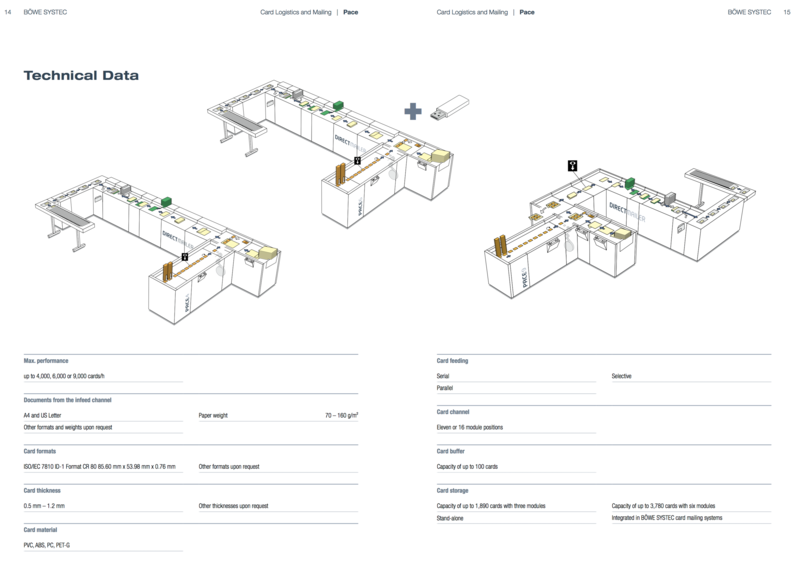 We offer our clients tailormade solutions on the basis of our inserting systems. 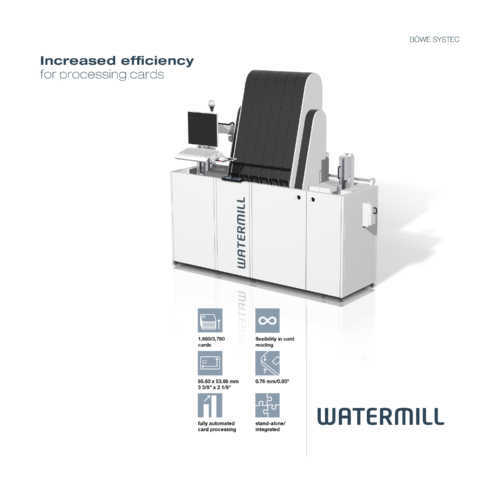 Since the card mailing system Pace, for example, can be retrofitted any time, investment protection is guaranteed. All systems have a uniform operating philosophy. 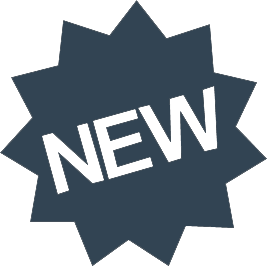 It allows fast and easy changeover from one job to the next, even if the batch sizes are small. 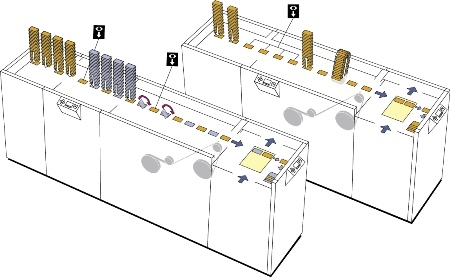 Reading modules and sensors provide information about where each card and each carrier is located within the system. 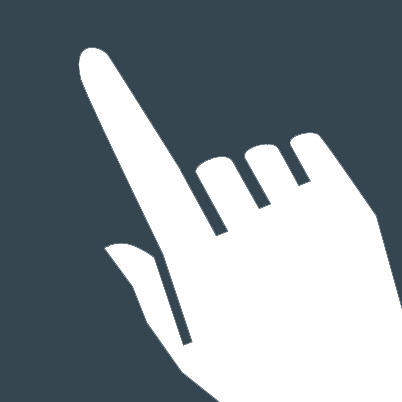 The result is highest integrity throughout the entire production process. 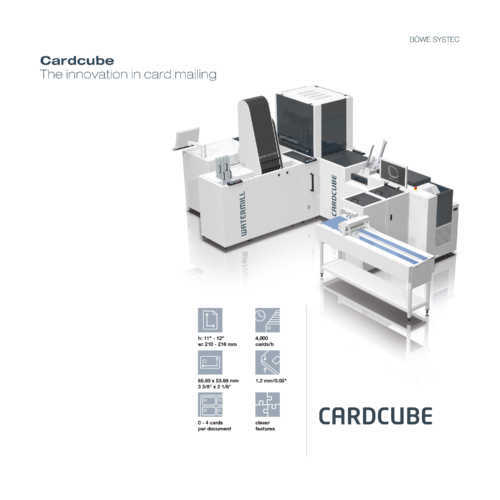 BÖWE SYSTEC card mailing systems enable personalized plastic cards to be sent to card holders quickly and reliably. They guarantee the exact matching of cards and documents and automatically attach the cards to the corre­sponding carriers. 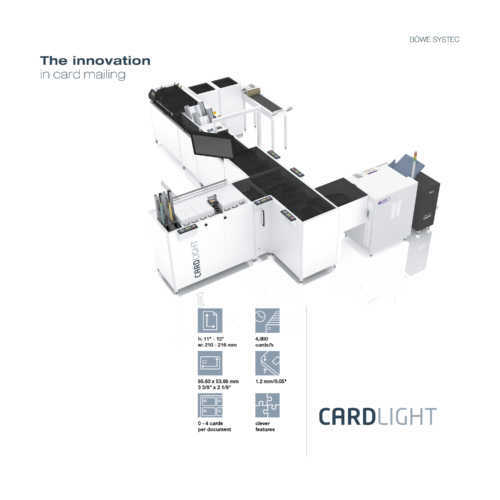 If required, the card carriers can then be inserted into envelopes together with enclosures. 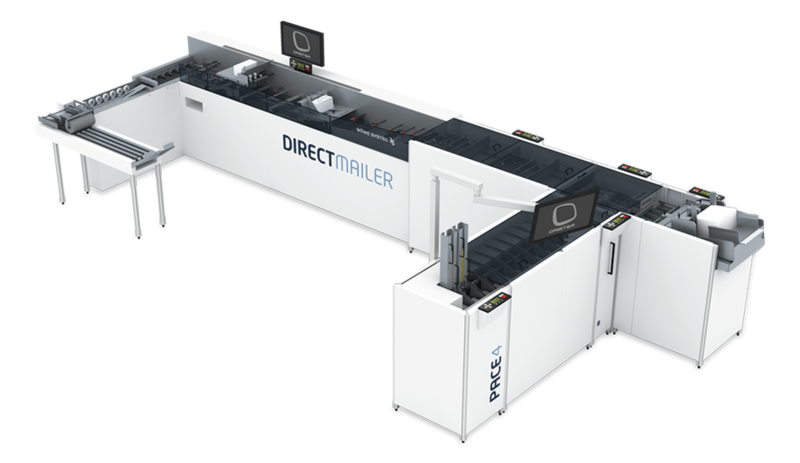 Based on our modular inserting systems, we offer our customers individual solutions that can be retrofitted at any time. 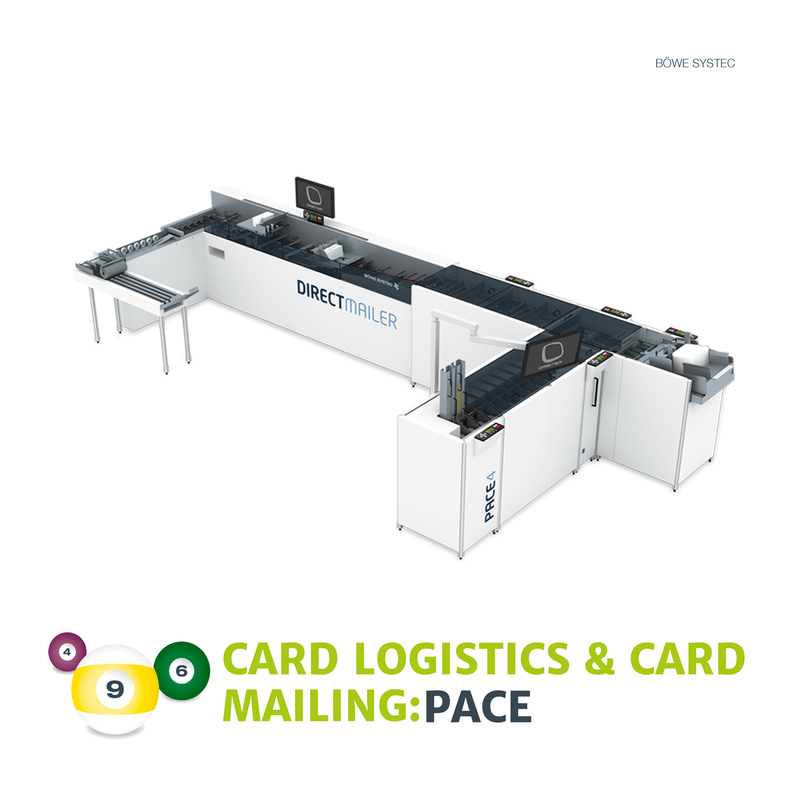 The Pace card mailing system has perfected the concept of modularity, as Pace grows along with our customers’ production volumes. Already today, this guarantees the greatest possible investment protection. 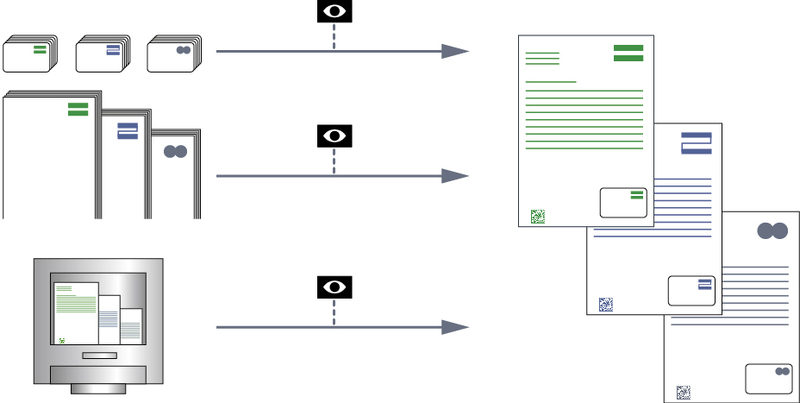 Reading modules and sensors provide information about where each card and each carrier is located within the system. 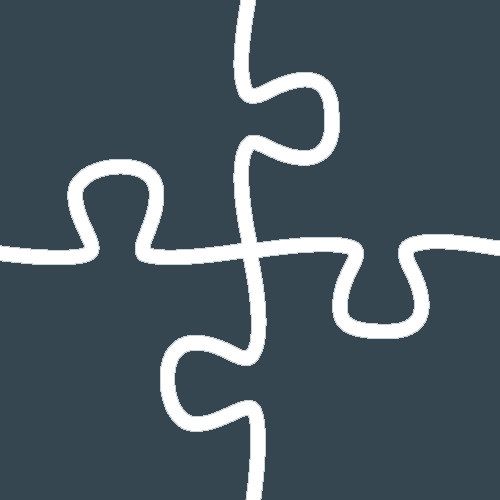 The result is absolute integrity throughout the entire production process. The card channel and attaching station form the central unit of the card mailing system Pace. 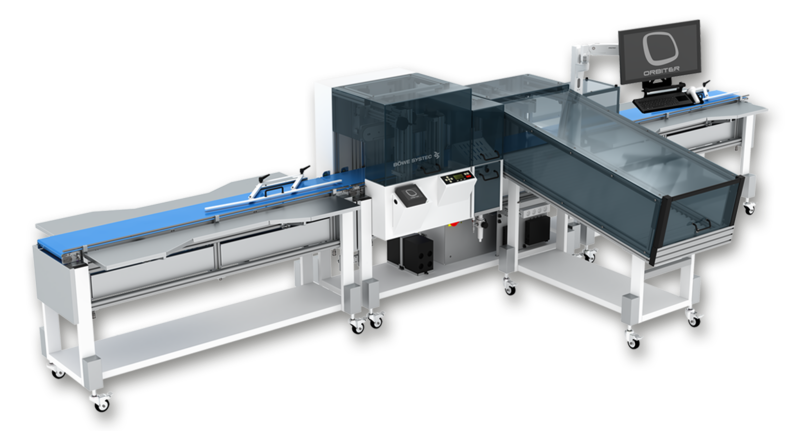 The chard channel can be freely configured and is available with ten or 16 stations; it can be individually outfitted with feeder magazines, various readers, turning units, restacking magazines, a card buffer, a mass storage device as well as labelling modules. 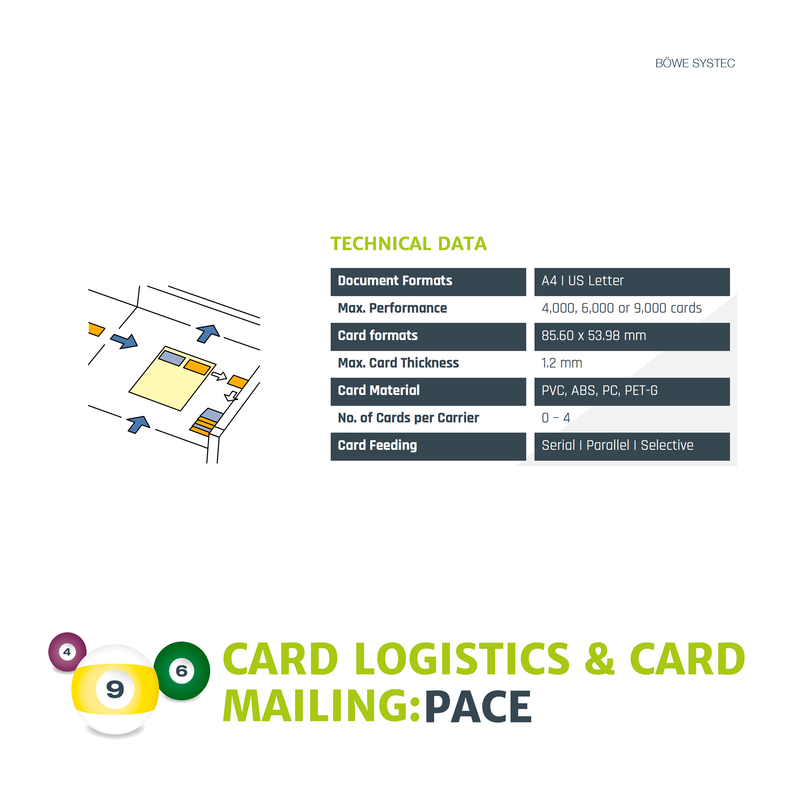 The attaching station can securely apply up to 9,000 cards per hour to the corresponding carrier document. The position of the cards on the documents may vary and the cards can be rotated into the correct position as needed. 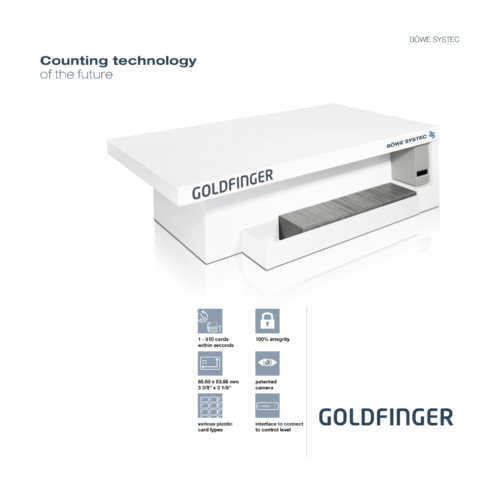 Continuous tracking of materials and continuous monitoring of the entire production process in all of our card maliling systems guarantee maximum integrity. Reader modules provide dependable identification of cards and documents and ensure that the right card is attached to the right carrier. Mismatched or defective cards and carriers are automatically diverted. This system is PCI-ready. Special safety mechanisms prevent from any outside interference in the production process.